Manufacturers, Suppliers and Industry Vendors: We Need You! Our supporting cast of premier partners at Storm Restoration Nation is built upon strong relationships that bond us all together to propel the movement even further, faster. The products and services we use on a daily basis impacts our lives as do the companies that design and manufacturer them, from software to hardware, outerwear to underwear, exterior to interior, litigation to mitigation, communication and transportation we are all interconnected by an ecosystem that either supports our survival or extinction in business. We recognize the value every partnership brings to the table as well as the combined years of wisdom and experience from the vast array of industries and walks of life our supporters come from. All of our voices are equal at Storm Nation and so are the opinions of our people, though at times may differ like night and day, we all move forward together as one to get the job done. 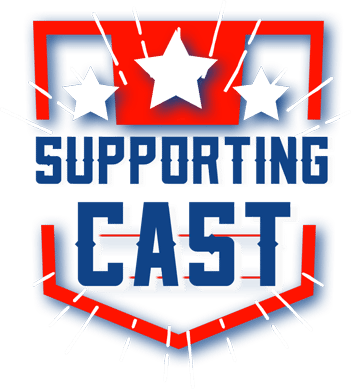 What is a Supporting Cast Member? The Supporting Cast are our entire group of supporting members across the nation and around the world comprised of Manufacturers, Suppliers, Distributors and Vendors who serve our industry with great products and technologies that keep us growing and ever changing to better serve our customers or end users. We call them our “Supporting Cast” because each member plays an integral role in the “Big Picture” of our agenda here at Storm Nation. The Visionary Board is an exclusive board who are in the upper echelon of our industry today and have a hand in creating the vision for Our Union within Storm Nation to drive us forward in the direction of our desired goals that will remold our industry for the betterment of us all. Many are considered national industry leaders and household names which include manufacturers, suppliers, distributors, vendors, national contractors, law firms and public adjusting firms who are well respected for their ethics in business practices, quality of service, products, training and charitable contribution within our industry and their respective communities. There are limited seats on the board and each member will be hand picked after screening. Ability to influence, reshape and affect major changes to better our industry for everyone. Ability to provide product training material/certifications directly to members in Storm Nation education platform*. Detailed business directory listing in the Storm Team Directory. We are grateful and blessed to be in a position to change an entire industry for the betterment of everyone across this great land of ours. Thank you for your support, we are truly grateful!